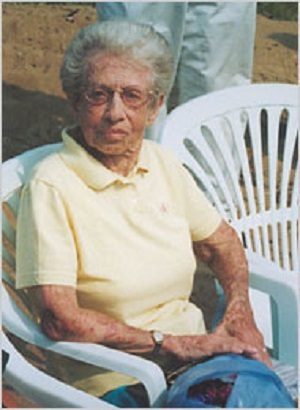 Dorothy Sterling (Dannenberg) was a Jewish-American writer and historian. She was born and grew up in New York City, attended Wellesley College, and graduated from Barnard College in 1934. After college, she worked as a journalist and writer in New York for several years. In 1937, she married Philip Sterling, also a writer. In the 1940s, she worked for Life Magazine for 8 years. In early 1968, 448 writers and editors, including Sterling, put a full-page ad in the New York Post declaring their intention to refuse to pay taxes for the Vietnam War. Sterling was the author of more than 30 books, mainly non-fiction historical works for children on the origins of the women's and anti-slavery movements, civil rights, segregation, and nature, as well as mysteries. She has won several awards for her writings, including the Carter G. Woodson Book Award from the National Council for the Social Studies for The Trouble They Seen: Black People Tell the Story of Reconstruction in 1976.